If you like to take the mystery out of things by putting them into a historical context have I got a book for you. The Battle for Christmas is not about the phrase "war on Christmas" and all of the BS that conjures. 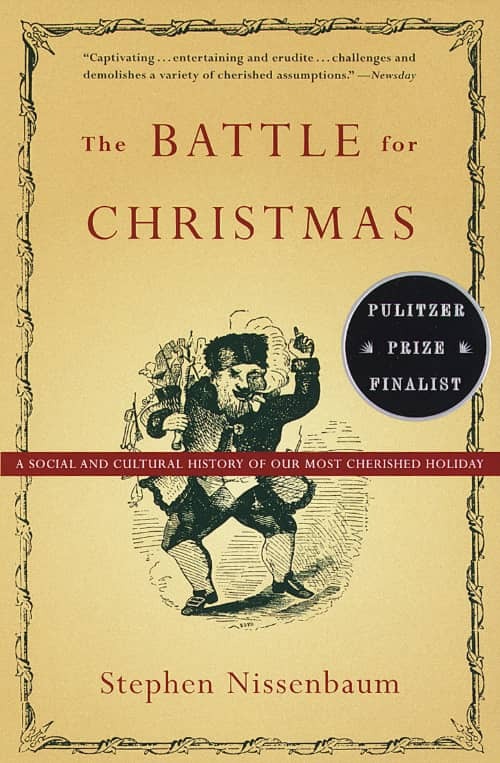 This book is about how Christmas evolved from a rowdy public festival into the more family-focused holiday people practice today. Nissenbaum also explores the origins of Christmas trees, Santa, and gift-giving. He supports his arguments with detailed historic documents and reading it feels like visting a familiar but alternate universe. I like to revisit this book every year around this time as my family cuts down a tree, hauls it inside, and puts shiny things on it. For a lighter take on the history behind Christmas traditions check out Mark Forsyth's A Christmas Cornucopia. I'm a big fan of Forsyth's books about language (especially The Elements of Eloquence) and he brings his same humor and love of language to this topic.